The Junior League of Savannah is involved in a number of community projects throughout Savannah and the Lowcountry. Some of our project change from year to year, though our focus is always on our community. 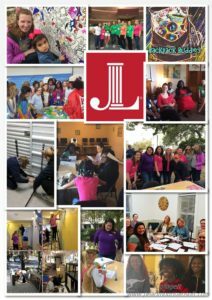 The Junior League of Savannah is committed to making a difference in our local community by partnering with local agencies that complement its mission and address the needs of the community by focusing on our focus area. JLS provides trained volunteers and funding to non-profit agencies for community-based programs designed to impact education and childhood development. Deadline has been extended to December 31, 2018! Download the Community Project application.